The forwarding company Franz Lebert has invested in the telematics solution TISLOG mobile with 190 Android terminals. Longevity, declining hardware costs, low training costs and a high driver's acceptance were essential for the system change. Technological dead-ends are avoided by a large area around Lebert. The latest proof is the new telematics system that the logistics service provider is currently rolling out at three locations in Kempten, Baienfurt and Kreuzlingen. Instead of modernizing the existing solution, the CargoLine partner opted for a radical change to TISLOG mobile from TIS. The openness of TISLOG for Android devices was decisive. 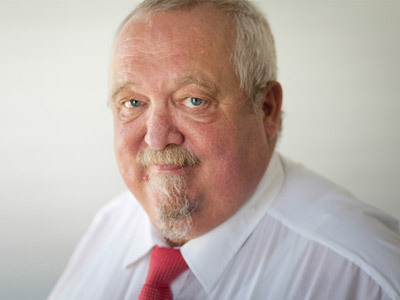 "We wanted to move away from Windows CE, because this operating system will disappear from the market in a few years," says Karl-Heinz Bernhard, Managing Director of Lebert-Holding LeAG Consult AG, responsible for Lebert Group IT. TIS's offer to develop the new Android solution as a pilot was therefore immediately accepted. 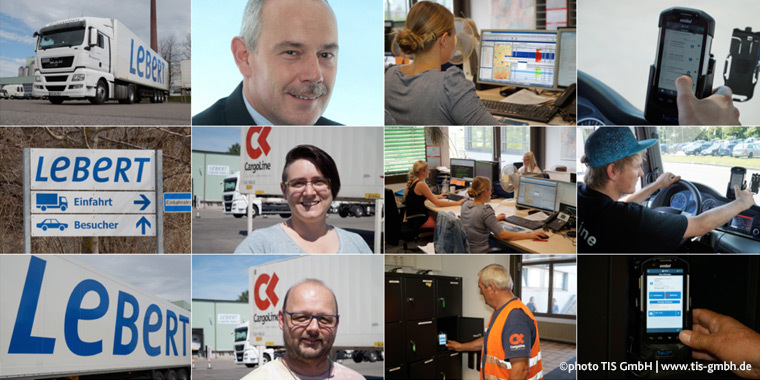 There was already a long-standing personal contact existing to the telematics provider from Bocholt and the CargoLine partners Bursped and Sander were well-known references. Besides the longevity, also the lower scan costs spoke in favor of Android. Finally, the selection of end devices compared to Windows CE is considerably larger and the price for suitable hardware will continue to drop in the medium term. For their 190 drivers, Lebert chose the model TC75 from Zebra. A comprehensive practice test with several devices and a survey among around 100 drivers had been carried out. "The vote clearly fell in favor of the TC75," emphasizes Stefan Bungartz, who together with Susanne Gantner is the project team for the introduction of the new telematics solution. The TC75 looks like a handy smartphone, but has a powerful scan engine, can be operated with gloves and complies with the European standard IP67. An important part of the solution are the mobile vehicle mounts by TIS for the TC75, which can be easily installed and dismantled thanks to a suction holder and power supply via a cigarette lighter. Another great advantage of the hardware lies in the intuitive usability as well as the great handiness, which is very important for the drivers. "As a result of the experience from the private sector, almost everyone is familiar with Android smartphones, which considerably reduces the training effort," says Stefan Bungartz. There is no time for complex training measures in the face of a tight project plan. Each of the three sites had to be converted completely from the old to the new telematics solution overnight. In addition to the drivers, the dispatchers had to be prepared for the new telematics system. In order to simplify this step, the functions of TISLOG mobile were first reduced to the usual level of the previous solution. The main focus here is on a seamless order management between the software and the driver. As the first expansion, around half of the 190 trucks will be equipped with truck boxes which document the driving and rest times as well as the consumption values, independent of the TC75. "This allows us to precisely monitor and reduce the diesel consumption," plans Karl-Heinz Bernhard. Another interesting option for Lebert is the so-called "charter app" for the spontaneous integration of subcontractors into order management. Drivers can use their own smartphone and access the order data via a weblink. Until the charter app is used, Lebert wants to introduce the other functions step by step and without haste.